The BR 16/3 puts the power of automatic scrubbing in a compact package ready for virtually any hard floor surface. 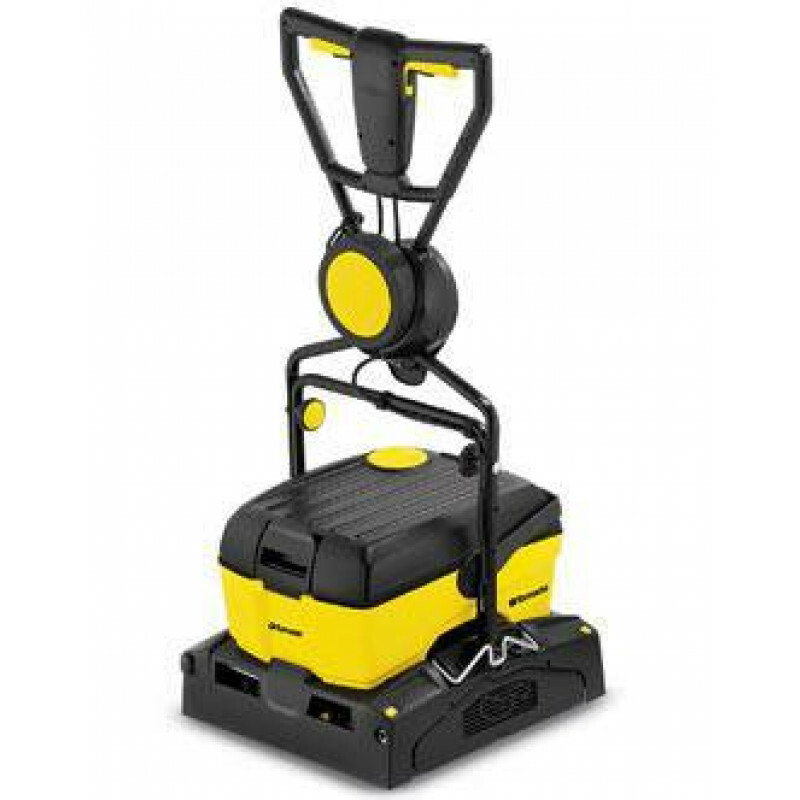 This electric unit operates in forward and reverse in a 16" scrubbing path at 1,100 RPMs. Height adjustable transport wheels permit variable pressure on your flooring. A convenient foot which lowers and raises the squeegees while simultaneously starting and stopping the back motor, respectively. The unit lays down cleaning solution, scrubs, and recovers in either direction. Features include a removable two-chamber tank system, fluid level indicator, and easy operator controls. The BR16/3 is constructed of durable, corrosion-free plastic with a sturdy tubular steel handle. This handy machine tackles ceramic tile, quarry tile, paves brick, raised rubber disc floors and other challenging surfaces. This versatile unit is perfect for hotels, hospitals, restaurants, restrooms, and retail sales floors. We have a great selection of additional Tornado floor scrubbing machines as well as other brands of walk behind floor scrubbers. You're sure to find the right machine for your particular floor cleaning job.